There are always consequences when engaging with the enemy. 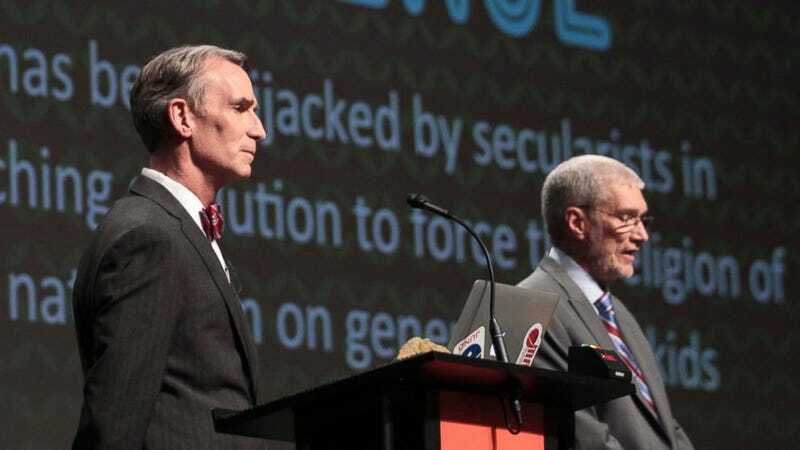 And when Bill Nye "The Science Guy" agreed to debate evolution vs. creationism with Creation Museum founder Ken Ham last month, he was considered to have won the debate, but he also brought a financial windfall to the museum that Ham describes — of course — as "a miracle." "It was a challenging time, one that on a human level required a miracle to overcome," Ham added. "And God in His providence supplied our needs." "If he builds that ark, it's my strong opinion, it's bad for the commonwealth of Kentucky and bad for scientists based in Kentucky and bad for the U.S.," Nye said. "And I'm not joking, bad for the world."